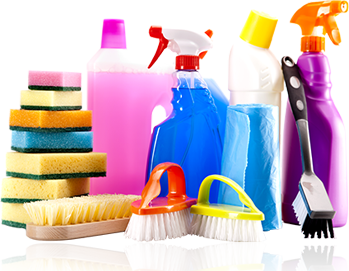 When It comes to cleaning, trust only Eco Cleaning Services, Inc for all your Commercial cleaning services in Etobicoke. We serve the local GTA and surrounding areas with our Etobicoke Commercial Cleaning (services) company. Our team of dedicated Etobicoke cleaning professionals have a proven high standard track record when in comes to top notch above and beyond cleaning services. we provide per monthly site calls or visits by an Eco Cleaning Services representative to address any issues and concerns with our Etobicoke commercial cleaning contracts. Our rates for Etobicoke commercial cleaning services, are very competitive with many packages to meet your specific and unique needs. Your satisfaction is guaranteed with Eco Cleaning Services. For over 10 years now, Eco Cleaning Services has been helping its customers take pride in the appearance of their premises. Frequent inspections are performed to ensure the quality control of our Etobicoke commercial cleaning teams. Eco Cleaning Services, offers a wide range of services to meet your commercial cleaning service needs. Whether you are an individual, small business, or a large corporation, your search for the best commercial cleaning company in Etobicoke, is over. You can be rest assured with Eco Cleaning Services that you have found a long term partner. Our primary goal is providing you with the highest standard of cleanliness. Every contract that has been entrusted to Eco Cleaning Services Inc, reinforces our stellar reputation in the Etobicoke commercial cleaning industry. Eco Cleaning Services Inc, understands that a clean work place enhances your reputation and the productivity of your staff. We take pride in the superior commercial cleaning services we offer in Etobicoke. When you need quality and personalized commercial cleaning services with integrity, Eco Cleaning Services Inc, will be more than happy to assist you with your cleaning needs. All of our Etobicoke commercial cleaning service team members are identifiable by our professional appearance on your premises all our staff are uniformed in company logo apparel that can not be re printed insuring you are safe. Our contract Etobicoke commercial cleaners have all had a criminal back ground checks and are of English-speaking and trained by the highest standards. For more information about our Janitorial Services you can Contact Us by phone today at (416) 871-0905 or you can complete our convenient commercial cleaning service quote form to schedule your free estimate.